Gorenje received the Best Innovations national golden award by the Chamber of Commerce and Industry of Slovenia for development of top-class Combi 750 appliances. The award ceremony where these highest commendations for innovative achievements of enterprises are presented took place on Tuesday, 20th September 2011. Gorenje is a perennial winner of Best Innovation awards. The gold-winning refrigerator freezers were developed for an American business partner and the development process lasted three years. The appliances rank in the high end of the market and they are intended for the most demanding customers in the USA. However the award-winning appliances were not only developed by Gorenje; they are also manufactured at Gorenje plants. Boštjan Pečnik, executive director of development: "The Combi 750 refrigerator freezer development project represented a major challenge for the entire team. Owing to our broad knowledge and experience, we delivered the result successfully. The award received today is a symbolic commendation for a work excellently done, to all employees who took part in development." Gorenje innovators developed three models of built-in refrigerator freezers for the American customer, which are rigged with many innovative solutions such as a system for independent temperature control in the refrigerator and freezer compartment, and a drawer that allows setting three temperature zones: freezing, cooling, or wine chilling zone. The solution for easy adjustment of the gap between adjacent glass shelves and bins on the door was patent-protected by Gorenje. To make maintenance and servicing as easy as possible, the key components (compressor, condenser unit, filters, fans, and electronics) are installed on a pull-out tray at the bottom of the appliance. Hence, the refrigerator does not require moving for servicing. Gorenje also developed user-friendly touch control via a screen that clearly displays all appliance compartments. Refrigerator-freezers developed at Gorenje will be the first refrigerators with the environmentally friendly refrigerant R600a (isobutane) in the American market. At Gorenje, this refrigerant has been employed since 1995 and its use in refrigerators sold in the EU is mandatory. All three appliance models also boast very low power consumption and the model with extra insulated door ranks in the highest energy class, bearing the Energy Star symbol awarded by the US Environmental Protection Agency. 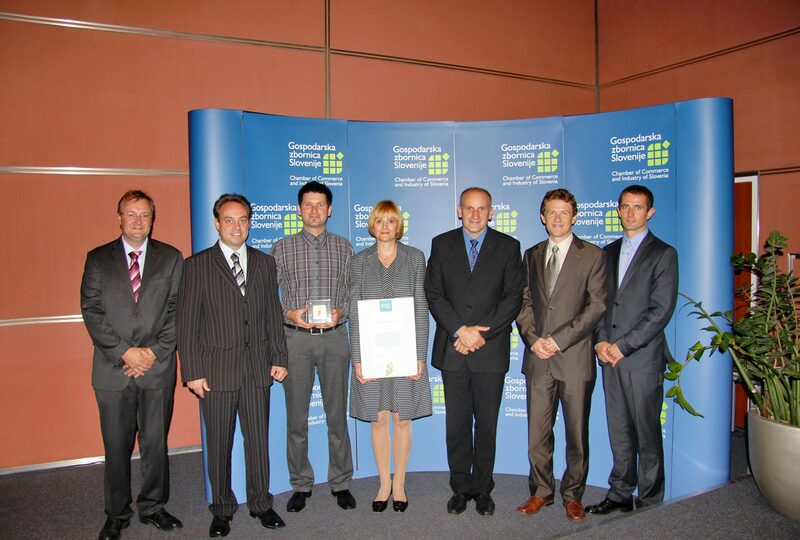 This year, the GZS award competition saw 243 entries by a total of 777 innovators. 12 gold, 23 silver, and 11 bronze medals were awarded, as well as two diplomas.